Tuesday evening was quite frigid in Ballard. 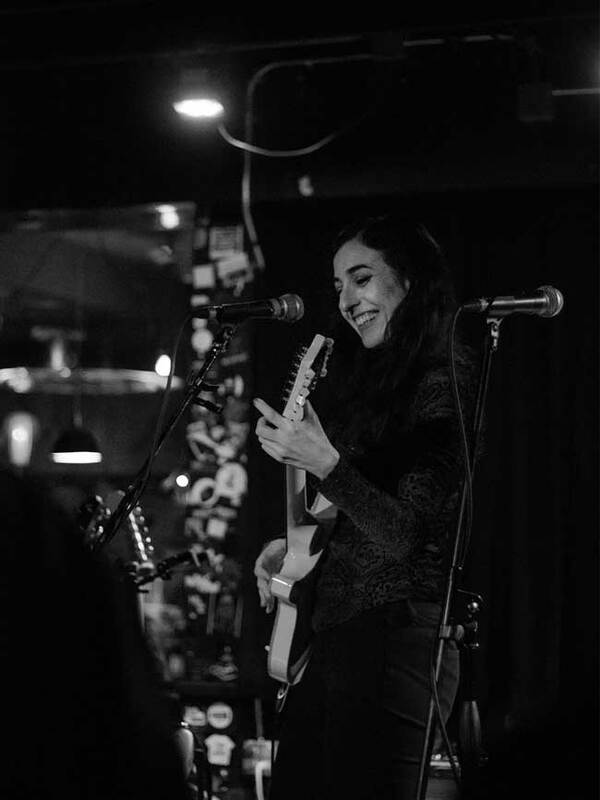 The streets aligning the trendy neighborhood had an unusually quiet vibe to them, which seemed a suitable environment for the ethereal folk artist, Marissa Nadler. Her latest album, For My Crimes, was released in September and she performed in Seattle the following month at The Tractor Tavern supporting Mercury Rev. KEXP also had her in session the same day and you can watch her brilliant four-song performance here. This week, she just wrapped up a brief tour of the West Coast where this time she was headlining her performances. The Sunset Tavern has a small venue and stage behind the entrance area where the bar is located, a setting that works well for a musician such as Nadler. Her performance was entirely solo with no other musicians joining her during any point in the set. For a songwriter whose compositions are so ghostly and forlorn, she has an adorably bashful stage presence. 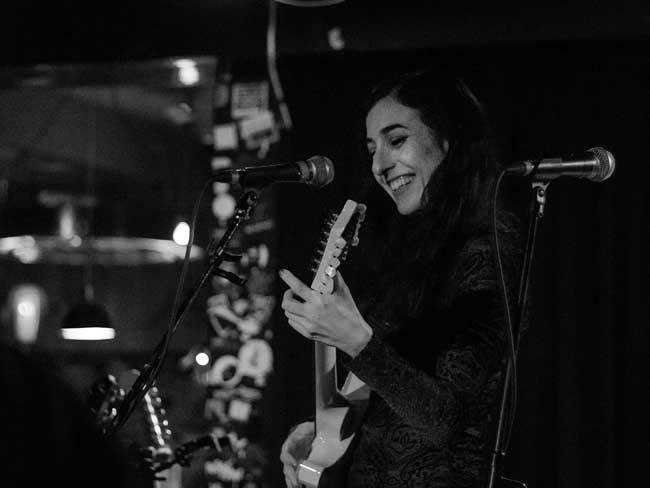 During her songs, she often played guitar and sang with her eyes closed, but as soon as a track was finished, Nadler would display a shy smile and look downwards as though she was not particularly comfortable in the spotlight. This comes of no surprise, considering how personal and intimate her music is on record. 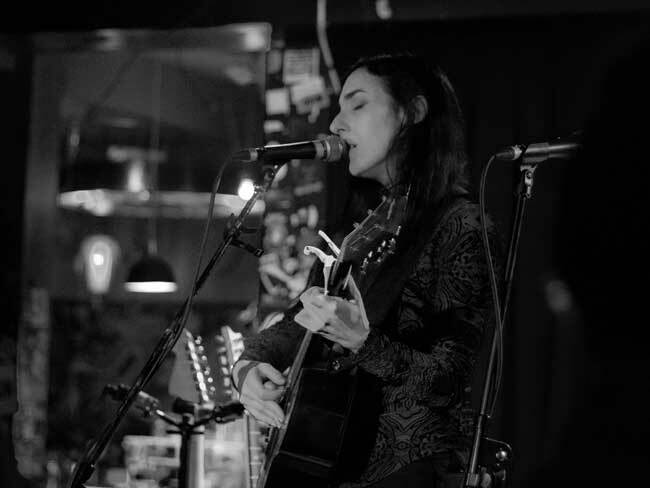 Marissa Nadler at the Sunset Tavern. Despite Nadler’s diffidence, she made some endearing comments in between songs. One of which was that she thought that this was the first time that she has ever worn pants on stage before. This may very well be true as I don’t believe that I have ever seen a photograph of the quintessentially gothic Nadler wearing anything other than a long dress. She also commented that tuning guitars for extended periods in between songs on stage was a nightmare of hers. In spite of that, she did swap instruments every few songs and performed some of her music on a six-string acoustic guitar with other tracks being played electrically with a generous amount of reverb. The songs in the setlist were culled primarily from For My Crimes and 2014’s excellent July. She also played a fantastic new song called “Poison” that is being released soon as a 7” single and features vocals from John Cale. The oldest numbers that were featured in the set were a gorgeous version of “Dying Breed,” from Songs III: Bird on the Water (2007) and she even started to play “Fifty Five Falls,” from her debut album, Ballads of Living and Dying (2004), but unfortunately abandoned it as she seemed to lose her concentration a minute or so into the song. Other highlights included “Leave the Light On,” from the limited, vinyl only album of the same name (2017) and “Your Heart is a Twisted Vine,” off of The Sister (2012) The evening finally had to came to a close, but did so with the beautiful and wistful, “Firecrackers,” from July. The hauntingly dreamy song was the perfect choice to end the evening on. I have been contributing to Three Imaginary Girls off and on for about a decade. If there is one thing to say about myself, it is that I am fanatical about music. My most cherished possessions are my record and CD collection and a handful of vintage guitars. 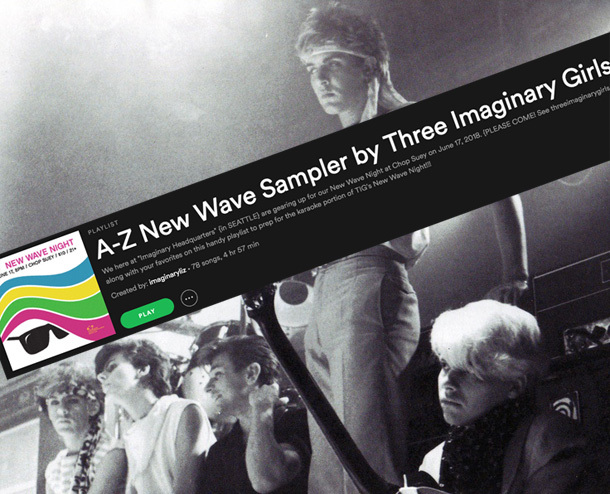 My top five record labels in no particular order are: Creation, Mute, 4AD, Rough Trade and Beggar's Banquet.